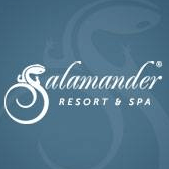 Salamander Resort & Spa is a timeless destination, located in historic Middleburg, Virginia. This quintessential town is steeped in equestrian traditions, and easily accessible to Washington, D.C. The Forbes Five-Star resort is the ultimate place of discovery and the epitome of luxury, combining artfully designed facilities with unparalleled experiences, all resting on 340-acres framed by Blue Ridge Mountains, lush vineyards and horse farms.